If only we could sing a catchy tune like Baloo the bear and put all Easter holiday induced worry and strife behind us, eh? But don't worry, if you're looking to keep a wolf pack of your very own entertained during the break, Derby Theatre has just the ticket for family friendly entertainment. 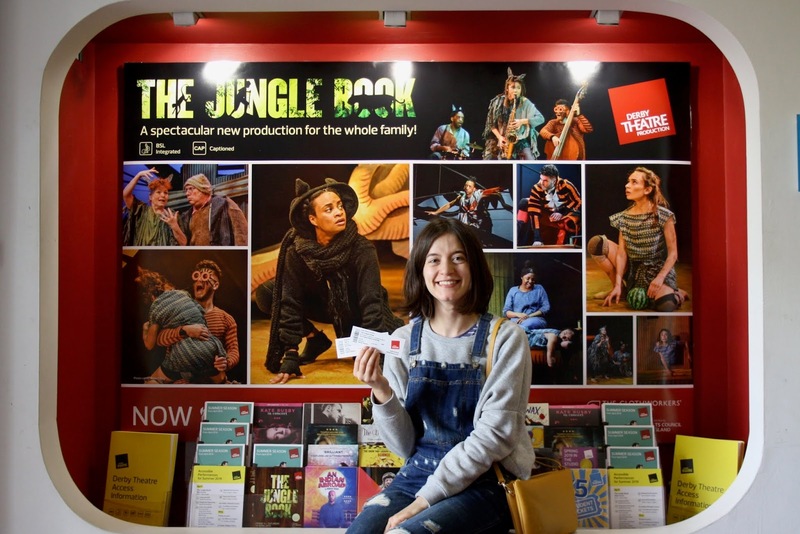 Transport yourself and your little ones to join Bagheera and Shere Khan deep in the jungle with the magical new adaptation of The Jungle Book. 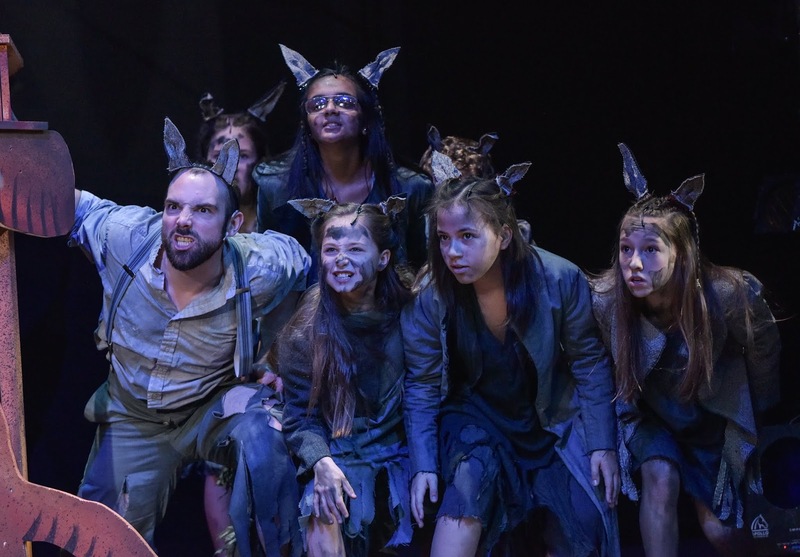 Award-winning writer Neil Duffield and Ivan Scott, the composer responsible for Derby Theatre's hit Christmas shows Hansel & Gretel and Peter Pan, have turned their hands to the Rudyard Kipling classic, bringing to life Mowgli's adventures with brand new songs. 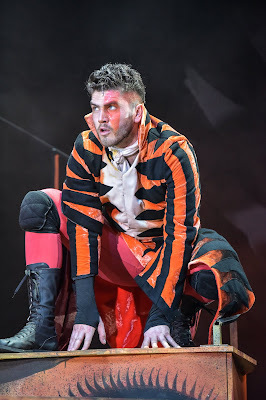 The show runs from Friday 5 April to Saturday 20 April 2019 and I was lucky enough to be invited along to review the production. Keep reading to see how I got on! Every self respecting Disney movie fan will remember watching the 1967 animated version of The Jungle Book on video tape. I loved the film so much that I even learned to play my favourite tune from the movie (The Bare Necessities, obviously!) on the piano as a child. I loved the story of man-cub Mowgli, who, having been found in the jungle as an infant, was raised by a wolf pack. Mowgli's childhood in the jungle was under constant threat from ruthless tiger Shere Khan, who was determined to claim the boy as his prey. Eventually, for his own protection, Mowgli is sent to the nearby man village, where he is tasked with finding the secret of "the red flower", which Baloo (Mowgli's bear friend and mentor) and panther Bagheera believe will save Mowgli from the evil Shere Khan's clutches. After his struggles to fit in with the wolf pack as a youngster, Mowgli finds similar troubles in the man village, never truly feeling like he belongs. Eventually, he decides like Baloo and Bagheera to return to the jungle to hunt alone, not as part of a pack but independently strong in his own right, supported by his bear and panther pals. But will he discover why "the red flower" is so special and defeat Shere Khan? You'll have to watch the play and find out! While Mowgli was the main character and the focus of all of the action in The Jungle Book, for me it was Esme Sears playing Bagheera who was the real star of the show. Sears was perfectly in character for the entire performance, embodying a big cat with every eye movement, gesture, and word. She was utterly convincing when she switched roles in the ensemble too. 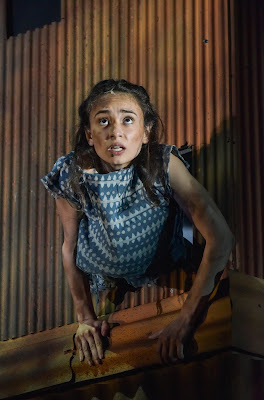 As the she-wolf protecting the infant Mowgli at the start, her animal mannerisms were markedly different from the cat character she played later on, which made her performance a real standout. Comic relief in abundance was also provided by Ivan Scott in the role of Baloo. Scott played the bumbling but immensely loveable Baloo very well, with amazing comic timing. When he slid down part of the set on his knees, he drew laughs from pretty much everyone in the theatre! I was also impressed by Dominic Rye's comedic performance as Sergeant Major. As Akela, the leader of the wolf pack, Rye didn't really shine but as the buffoon Sergeant Major, who was shown to be a braggart and a charlatan, he was nothing short of hilarious. His failed attempts to get the villagers that he was leading to march in time produced laughs aplenty, no matter how many times this motif popped up. Overall, I felt that the casting was excellent and the quality of performance extremely high. I couldn't write this review without mentioning just how impressed I was at just how inclusive the theatre-going experience at Derby Theatre is. 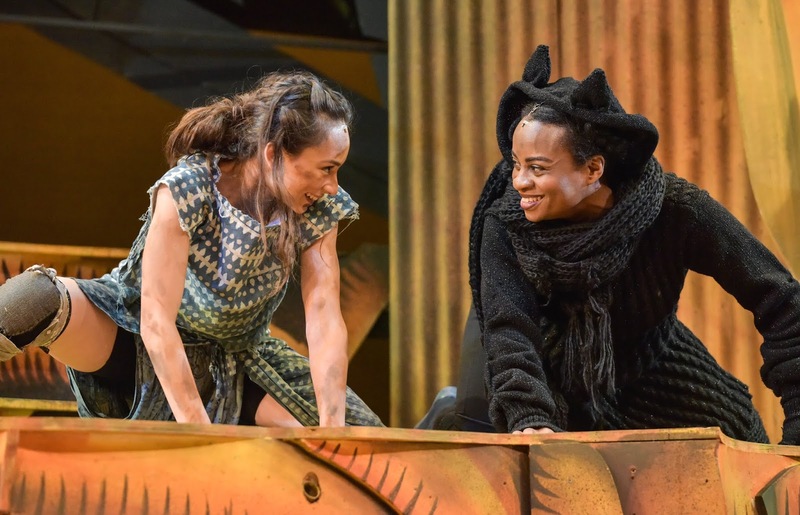 All performances of The Jungle Book this Easter have fully integrated BSL interpretation and captioning. I had never attended a BSL optimised performance in the past, so what I was expecting was for there to be a BSL interpreter standing somewhere at the side of the stage, offering commentary for those in need. This was not the case, however. The BSL interpreters were very much part of the action, appearing as characters in the plot, seamlessly integrated with the action. This was absolutely fantastic as it meant that everyone in the audience could enjoy the play without taking their eyes away from the main stage. We were sitting next to a little boy and his mother who were using BSL and they seemed to be having a whale of a time! When booking, you can look out for seats with an "i" symbol on the seating map for the best view of the integrated captioning. The theatre website also has BSL captioned introductions to the show which are brilliant, again a really inclusive measure to enable deaf attendees to enjoy the buildup to a show just as much as a hearing audience. For those with sight loss, Derby Theatre is equally inclusive. Audio described performances, comprising pre-recorded descriptions, are available from Wednesday 10 April onwards and there is also a live audio described performance on Thursday 18 April at 1:30pm. The showing that I attended, on Saturday 13th April, also had a Touch Tour before the show, enabling those with sight difficulties to explore and familiarise themselves with the stage, props and costumes at a special session 1 hour before the performance starts. There is another Touch Tour available on Thursday 18th April. 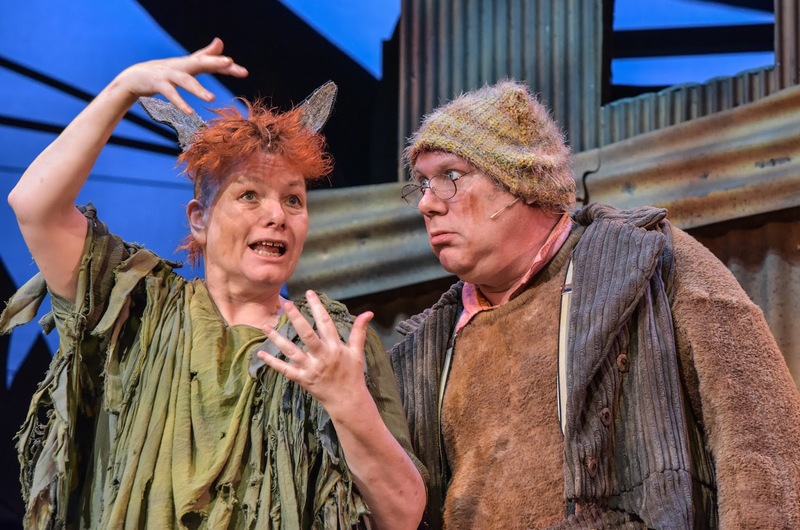 Derby Theatre also offers a Relaxed Performance on Sunday 14 April at 1:30pm that is ideal for audience members who are on the autistic spectrum or have sensory sensitivities. Furthermore, they are putting on a Dementia-friendly performance on Wednesday 17 April at 1:30pm. Theatre staff who are trained Dementia Friends will be on hand to assist anyone in need, so that everyone can enjoy the show. I was really impressed by all of the inclusivity measures that Derby Theatre provide. The Jungle Book really is a show for everyone. Ali Allen, the set and costume designer for The Jungle Book, really must be commended for her work on the show. Her approach to the costume design was that the characters should appear more human than animal, but she still wanted to create the right shapes and textures through her designs. My favourite costumes had to be those of Bagheera and Shere Khan. Bagheera was dressed in a long, knitted robe-like dress, with a hood pulled up over the head and small black ears. The outfit was immediately recognisable as a big cat and the form-fitting nature of the costume really fed into Bagheera's personality as someone who could slip through the trees unnoticed. Meanwhile, Shere Khan's costume screamed power! The bold orange and black stripes of his blazer were really eye catching, as was the combination with the orange face-paint over one eye. Again, the costume here really helped to establish Shere Khan's characterisation. The set design was also impeccable, evoking the jungle from the minute you entered the theatre. The plain block-colour background enabled the signing to be seen clearly without compromising on design or effect. As well as Baloo and Bagheera, a real scene stealer in my eyes was Kitty Wright, who couldn't have been more than 7 or 8 years old. 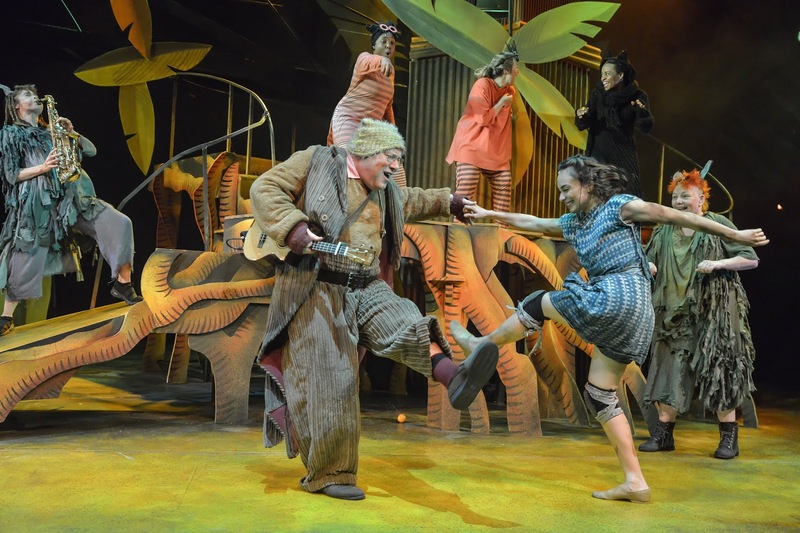 She bounced on to the stage with her blonde pigtails in a variety of chorus member roles, as a youngster from the wolf pack, as a cheeky monkey, and as a sprightly villager. She sang every song word perfectly with such gusto, delivered her occasional individual lines with the biggest smile on her face, and seemed to be having the time of her life. It was so lovely to see someone so young on stage clearly having a brilliant time among a really supportive cast - I'm sure that this little girl has a big, bright future ahead of her in theatre! Other scene-stealers included the amazing instrumentalists who popped up during the show's musical numbers. The live music added such a fantastic immediacy to the action and really enhanced the amazing voices of the actors, particularly that of Iniki Mariano who played Mowgli. Everyone on stage was incredibly talented! 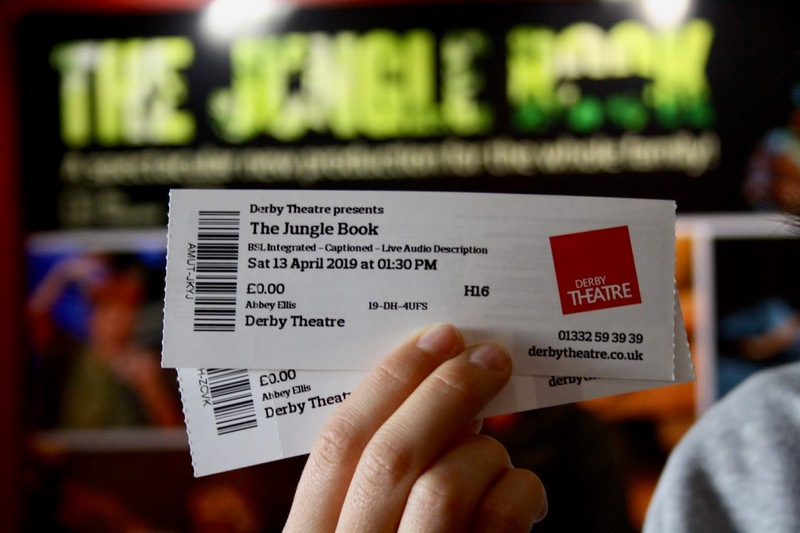 Overall, I loved my time at Derby Theatre and I wouldn't hesitate to recommend picking up tickets to see The Jungle Book before doors close on Saturday 20th April. You can book tickets on the Derby Theatre website or by calling the Box Office on 01332 59 39 39. When was the last time you went to the theatre? Let me know in the comments. Derby Theatre is located at 15 Theatre Walk, Derby, DE1 2NF, within the intuDerby shopping centre. *My tickets to see The Jungle Book were provided free of charge, in exchange for a blog post review.